Shadow excelled at track and field events at school, particularly in the 100 and 200 metre races, the triple jump and shot putt. He then travelled to the USA following his ambition to become an American footballer in the NFL. He was a good player and coached and played with teams in Sweden, France and Germany. 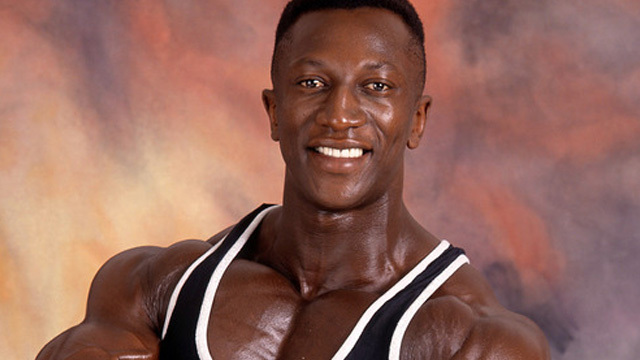 On returning to the UK he started to pursue a career in bodybuilding going on to win the NABBA Mr Teenage Britain title three years running in 1978, 1979 and 1980. In 1982 he won the Novice Mr Britain title and in 1989 he came second in Moscow with the British weightlifting team. Shadow was the initial Gladiators team captain and was one of the most physically intimidating of the Gladiators. He was feared by many a contender and regarded by many to be the toughest Gladiator. He was well known for his mesmerizing eyes and being the King of Duel, he was only beaten once in three years. His defeat on Duel in 1994 ended with only 01.1 seconds remaining on the clock! He had a lot of determination and had some outstanding performances in the Gladiators Arena, although he was so big he was still very fast. Shadow, who is the father of twins Theo and Tiffany, went on to appear as an extra in Spice World - The Movie and also became a professional wrestler. He is now a Course Tutor at Intuitive Recovery, an organisation that helps teaching people to recover from their mistakes.